Prominent underworld figure and drug kingpin 31-year-old Dhadallage Manju alias D. Manju a resident of Peliyagoda, was killed during a shoot out with the Police Special Task Force (STF) personnel in Wattala today around 1.30 p.m., Police said. The victim is alleged to have opened fire at the STF officers when they searched suspicious vans in Hekitta, Wattala following a tip off. According to Police, Manju was shot dead in a return fire. Police said two more suspects taken into custody by the STF, were handed over to the Wattala Police. 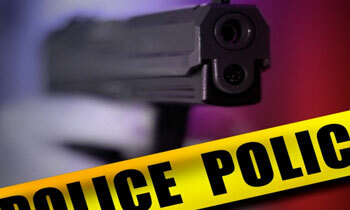 Police had recovered a 9mm automatic pistol and a magazine from the crime scene. According to sources, the vehicle which the suspects had travelled in, was owned by the arrested suspects and had been regularly used by the victim. 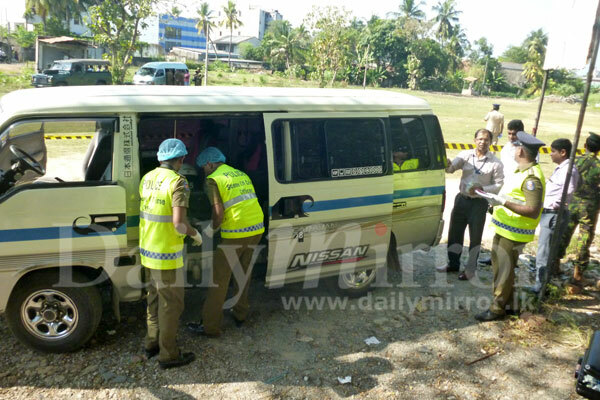 The body of the victim had been sent to the Ragama Hospital. Wattala Police are conducting investigations. According to Police sources D. Manjula was in remand custody in connection with the killing of Peliyagoda Urban Councillor Shamil Sandaruwan on May 12, 2014 and had been the main arms supplier to the prominent underworld figure late Aruna Udayashantha alias Samayan. Stf still missed the more higher king pin.he lives in negombo,very close to this king pin's death.go for him too. "The victim had opened fire at the STF". So STF is culprit here? If Sarath Fonseka appointed two years before more stories end. If that happens, good luck for all the women comstaples and women drug kins! He is not going to be missed and STF have done the younger generation to stay clean . Go on boys(STF) get some more big sharks to save Mother Lanka. Congratulations. This is the treatment to be given to such people. MR accompanied by JO members might pay last respects. A drug king at 31! Where are we heading? Please do not take things cool and easy. Unless you wipe out these criminals, these criminals will wipe you out as well as those who pinpoint them.